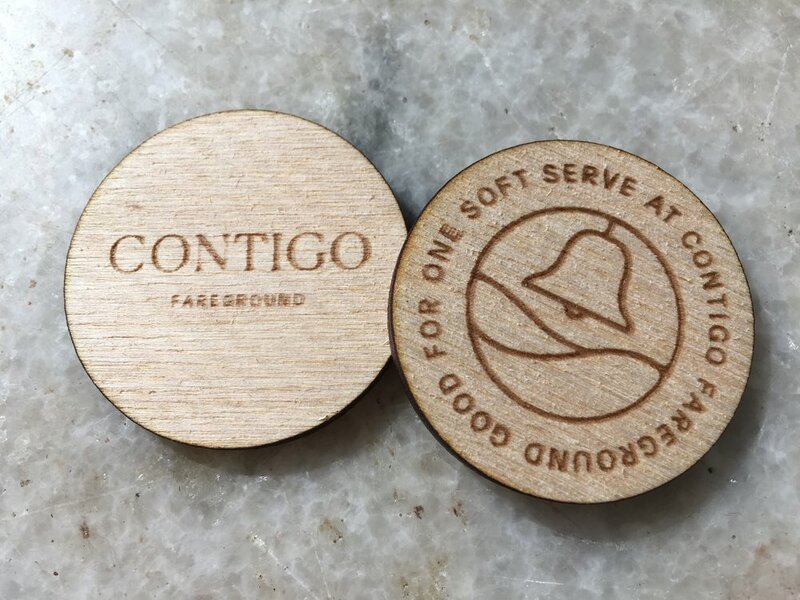 Laser engraved Wooden Nickels and Tokens — Lasers make it awesome Laser engraving for events and brands. A unique way to make a one-on-one connection. 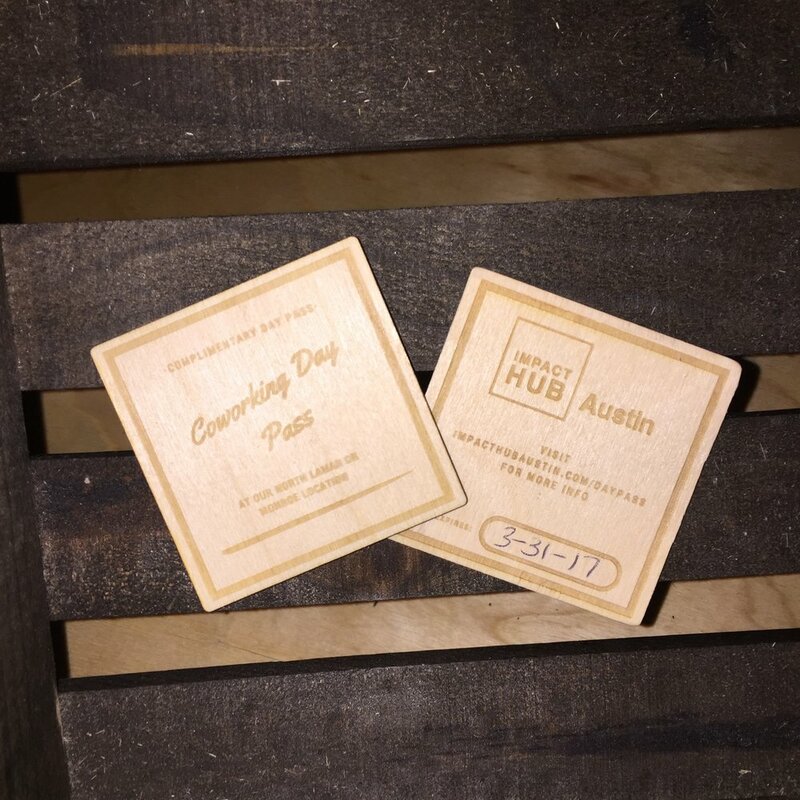 Our laser engraved wooden nickels are a fun way to promote your business. Use them as coupons, business cards, drink tokens or promotional giveaways. Our standard wooden nickels are laser engraved on both sides. 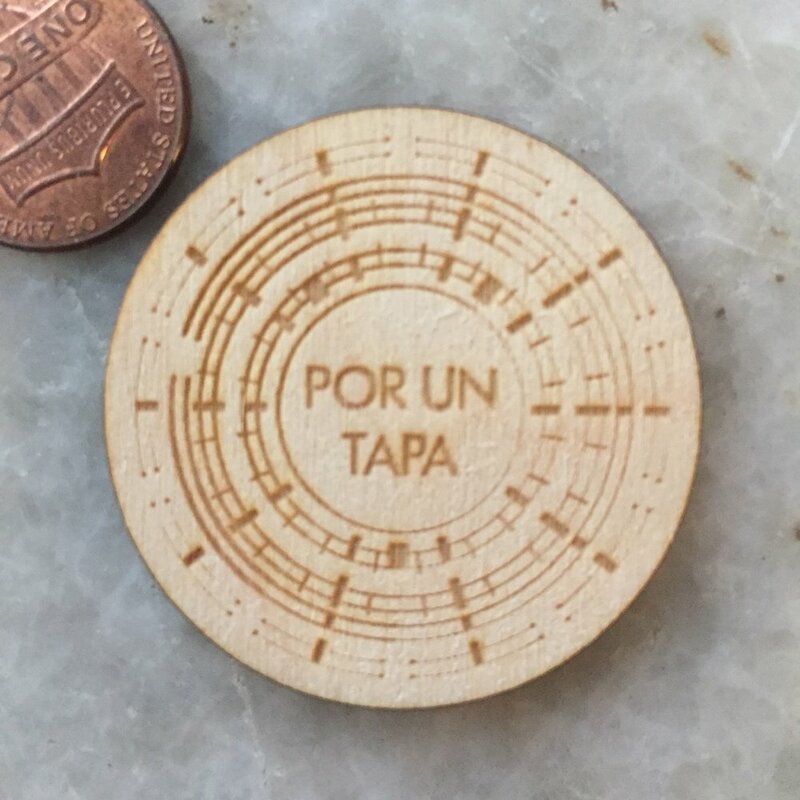 They measure 1.5 inches across and are cut by laser from 1/8 inch thick baltic birch. Each token is sanded by hand to ensure a smo0th feel.